Veganism is popping up everywhere these days. We have started to recognize that our planet is in desperate need of a gentler treatment and so are our fellow sentient beings. The richest countries eating the most animal products have brought about the sickest populations and finally, more and more health experts start recommending vegan diets. But with all this new information around living a vegan lifestyle, where should you even start? We’ve gotten an incredible amount of questions around vegan nutrition, ethics, treating diseases, and getting kids on boa﻿rd that we thought it was about time to put together a list of the best vegan books out there! Because honestly, we couldn’t cover all of this great information on our blog – though we’re still working on it. But let’s be honest, having a bunch of beautiful books on your shelf at home doesn’t just look pretty but will also keep you on track and maybe even spark the interest of people around you. For your convenience, we separated the very best vegan books into different categories so it’ll be easier for you if you’re looking for anything specific. Let’s get into them! 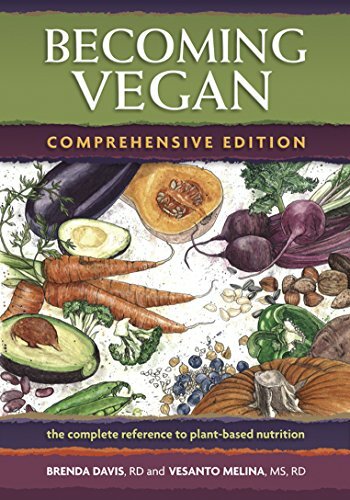 Starting out on a plant-based or vegan diet can be tricky when you don’t know where to start.If you’ve made the decision to ditch meat, dairy, and eggs, these books will be your guides, taking you through the basics of getting in adequate nutrition, and the benefits you can expect. After Doctors Alona Pulde and Matthew Lederman discovered the life-saving benefits of eating only whole, plant-based foods, they helped spark a health revolution with their hard-hitting documentary. 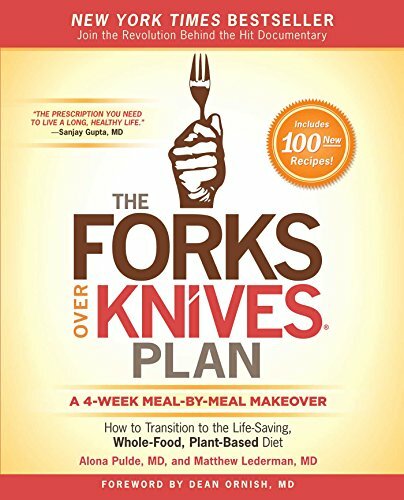 Now, ‘The Forks Over Knives Plan’ is putting all of that knowledge into action, with an easy-to-follow, step-by-step meal makeover plan to start you on the path to plant-based success. Expect recipes, meal plans, shopping lists, tips on how to stock your refrigerator, how to eat and snack healthily on the go and even how to combat cravings. Rather than concentrating on individual nutrients or macros, which can often feel like a hurdle for new vegans, The Forks Over Knives Plan places greater importance on variety and abundance, leaving common fads like portion control and macro-counting off the table. ‘The Plant Based Journey: A Step By Step Guide For Transitioning to a Healthy Lifestyle and Achieving Your Ideal Weight’ is every newbie vegan’s ‘game plan’ for achieving your health goals. 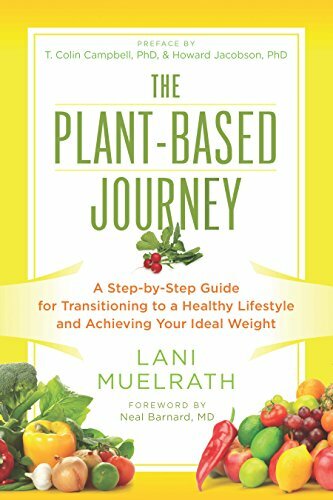 Not only does Lani lay out the foundations of a plant-based diet in a fun, accessible way; she also delivers a full step-by-step guide to help you with your transition. The Plant-Based Journey provides everything you need to make your new lifestyle successful, with meal plans, recipes, pantry organization tips, and even guidance on taking your plant-based lifestyle out of the kitchen and to social situations. Lani also dedicates a whole chapter to what is probably one of the biggest challenges for a newbie vegan - ‘Mastering Strength of Mind’. With Lani’s help and advice, there’s no reason anybody wouldn’t be able to make the plant-based diet work for them. Often referred to as “the Encyclopedia” or “bible” of vegan nutrition, Becoming Vegan provides everything you need to know about staying healthy on a vegan diet. Answering many common questions surrounding nutrients, motives, athleticism and even vegan pregnancy, it draws on many classic studies to back up its info in a clear, concise way.Use this book to get a handle on everything your body needs, and as a handy reference at any time throughout your journey. Staying on a plant-based diet (and sharing it with others) involves more than just the health benefits. These books take a deep look into our relationship with animals and how we can address these preconceptions for a better, more compassionate world. 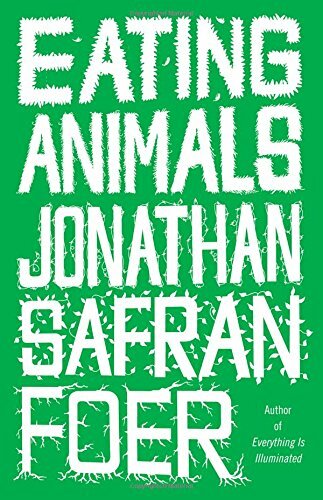 In his riveting and detailed memoir ‘Eating Animals’, Jonathan Foer weighs up the arguments for and against eating animals - from the intelligence levels of our most popular meat-providers (pigs, chicken, and cattle), to accounts of his loving grandmother’s meat-and-potatoes comfort meals and the socio-cultural meanings we attach with food. From his own point of view, Foer empathizes with every omnivore’s conundrum through his own dilemma - how and whether to raise his unborn son vegetarian. In exposing what really goes on behind slaughter house doors, Foer holds little back...making ‘Eating Animals’ powerful and essential reading. Why is it that we love some animals and allow others to suffer needlessly? Melanie Joy takes the exploration of this question one step further with her bold societal commentary ‘Why We Love Dogs, Eat Pigs and Wear Cows’. Starting of course with the ethical and environmental effects of eating meat, Joy also turns much-needed attention to the meatpacking workers themselves - the hazards they face - and of course the vast negative health implications for millions of Americans every year. One of the most striking things is Joy’s dive into the psychological aspects behind how we view and treat other animals. She coins the term ‘carnism’ to describe the way in which culture has conditioned us to treat some animals with compassion but not others. Whether you’re a new vegetarian or a long-time vegan, this book will bring home very real truths about society and the current food system. 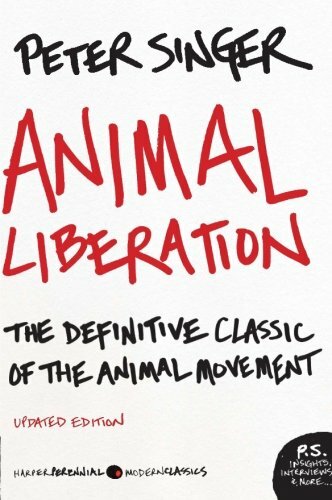 Though there have been significant strides in our awareness of animal welfare in the decades since this book was written, ‘Animal Liberation’ is as relevant today as it ever was. Often described as the “the bible” of the animal liberation movement, Peter Singer’s book delves deep into the animal rights movement on both a psychological and philosophical level, sparking a wave of animal activism and even inspiring PETA’s Ingrid Newkirk to found the life-saving organization. ‘Animal Liberation’ depicts the graphic scenes of animal cruelty and suffering that is rife today in the world’s farms and laboratories. For some it may be a difficult read...but it is nevertheless a life changing one. Perhaps eating healthfully and consciously is not enough for you - you wish to learn more about how individuals can promote social change. These books not only give an excellent insight into animal activism; they also give you the ultimate tools to persuade and inspire others. What encourages people to take action? How can charities and non-profits improve their response rates? How much is okay to ask, and how much is enough? 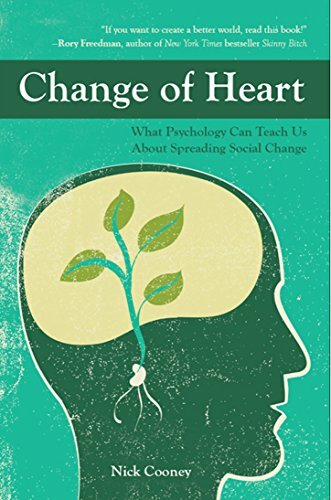 Nick Cooney in his book ‘Change of Heart’ explores what it really means to initiate social change, and what really makes people alter their behaviors so that large-scale change can happen. Cooney draws on more than 80 years of historical research in his reasoning, including empirical studies in social psychology, communication, network studies and social marketing. No matter your level of psychology understanding, ‘Change of Heart’ will certainly have more to teach you. Though the vegan movement can be traced back almost 2000 years, over half of today’s vegan population is made up of millennials - people aged 15-34 years old.This already aware group is increasingly light-years ahead of its predecessors in terms of animal compassion and limiting social norms. However, there is still much work to be done in terms of spreading that awareness further - both to their fellow peers and future generations to come. 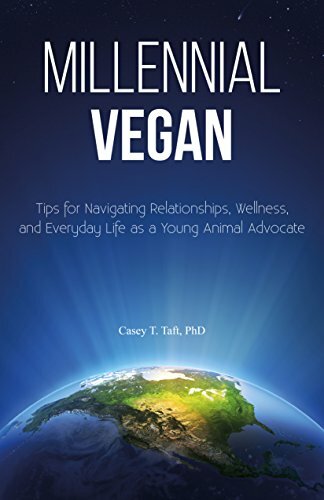 Taft’s ‘Millennial Vegan’ provides helpful advice on social situations as a vegan; as well as everyday advocacy, dating and maintaining overall well-being. No matter how conscious you already perceive yourself to be, ‘Millennial Vegan’ can help you take it further. ‘Even Vegans Die’ raises the very real truth that even on a plant-based diet, life can bring times of disease and sickness. Facing up to the fact that vegan does not mean invincible helps us avoid putting the health of ourselves and even others in danger. It also helps us take the best care of ourselves so that we may not harm our legacy of compassion. Carol J. Adams is also keen to raise the issue of body shaming, making clear that the vegan diet should not be synonymized with an ‘ideal’ body type. Instead, the plant-based diet should be for all, regardless of shape and size. 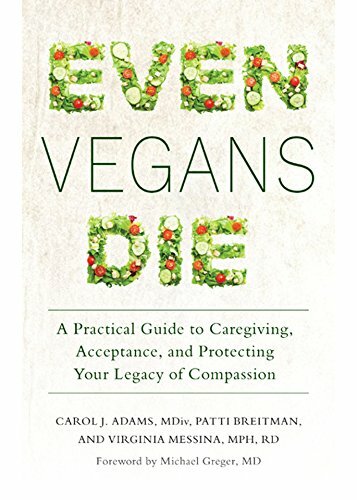 ‘Even Vegans Die’ is a must-read for anybody curious about how they can improve care for themselves - and others - in times of both wellness and sickness. Taking on a vegan lifestyle goes beyond what we eat. Almost everything we choose to buy, use and promote can have an impact on improving life for animals and the environment. These books explain how we can embody the vegan message in everything we do - no matter your age or stage of life. Although a newly published book in the vegan fore, Caitlin Galer-Unti’s ‘The Essential Vegan Travel Guide’ is a must-have for any traveling vegan. 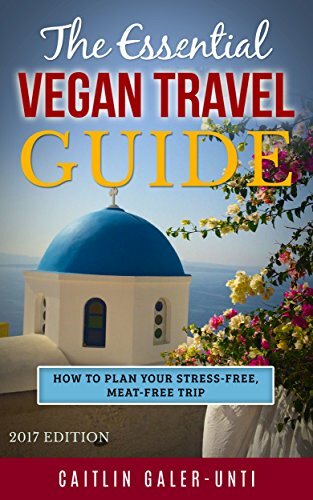 Even if you’ve been vegan and traveling for some time, her book contains ingenious tips and tricks that will go a long way to making your plant-based trip even more memorable! From finding places to eat, talking to waiters in other countries, dining with omnivores to making emergency meals in a hotel room(! ), Galer-Unti has your back when it comes to stress-free, meat-free travel. Pack this in your suitcase before your next trip...you won’t regret it. Staying healthy as a vegan is one thing, but staying healthy as a vegan woman can bring its own set of challenges. Women have their very own needs and functionalities, all of which need to be paid special attention, whether you’re plant-based or not.Read how to achieve and maintain a healthy body weight; lower your risk of breast cancer and heart disease; build healthy bones and protect against osteoporosis; deal with conditions like migraines and arthritis; handle PMS and cramps and even improve your fertility. All of this is possible, and more, with JL Fields’ and Ginny Messina’s useful and dedicated guide. 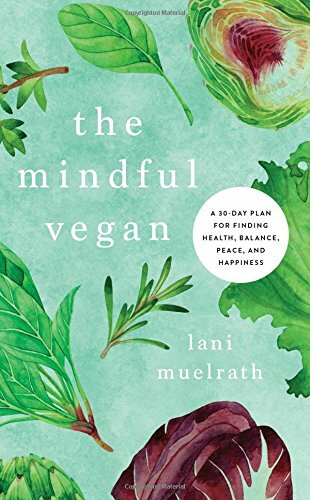 In her brand-new book "The Mindful Vegan", plant-based expert Lani Muelrath shows you how to find health, balance, peace, and happiness within just 30 days. She takes you right to the roots of your challenges around food and uses mindfulness as the key to stepping back from your auto-pilot, giving you the chance to reevaluate and create new patterns. Learn techniques of meditation, successfully navigating conversations, and more! Everything is nicely packed and comes with her unique humor, personal stories, lots of positivity, and a handful of delicious recipes. Stop stressing and start living! 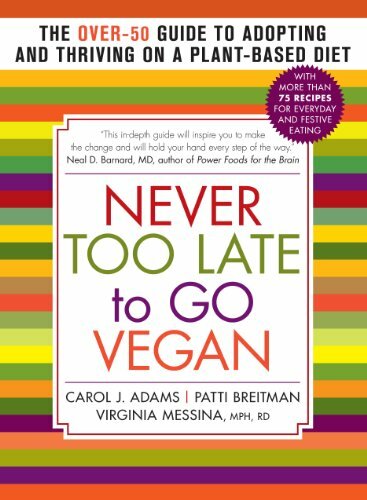 Yes, a vegan diet can work for any age...and ‘Never Too Late to Go Vegan’ proves it! 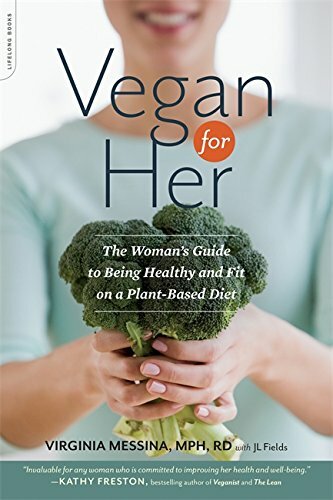 Whether you’re over 50 and are thinking of turning vegan, or have been vegan your whole life...this book will be your go-to handbook on ensuring you get the best care you deserve. ‘Never Too Late to Go Vegan’ targets the most common issues that those over 50 may face with their ethical diet. It explains how our nutrient needs change with age, and what you need to be doing to keep up. It also offers plentiful advice on caring for older relatives who aren’t vegan; as well tips on navigating the grocery store and restaurant menus (for new vegans). Above all, ‘Never Too Late to Go Vegan’ ensures that no matter when you decide to make the change, a vegan diet can work for all. Whether you’ve already made the switch to veganism or are looking to incorporate a couple of vegan meals each week...we all need a bit of culinary inspiration sometimes. The below cookbooks are written by some of the biggest names in the vegan movement, who’ve kicked the stereotypes out of the kitchen and into the garbage can. Think going vegan means missing out on your favorite comfort foods? Think again! Kristy Turner takes all your usual go-to meals and turns them on their head, in a completely cruelty-free and of course insanely delicious way. Forget about craving cheese. You’ll be too distracted by Macadamia Ricotta; Tempeh Bacon Mac ‘n’ Cheese, and Mushroom Cheddar Grilled Cheese Sandwiches. Worry your friends won’t want to come over for dinner? They soon will with promises of Portobello Carpaccio, Gnocchi alla Vodka and Dark Chocolate Sorbet.Concerned about your sweet tooth? Don’t be, with caramel apple-stuffed french toast and oatmeal raisin ice cream sandwiches on the menu. 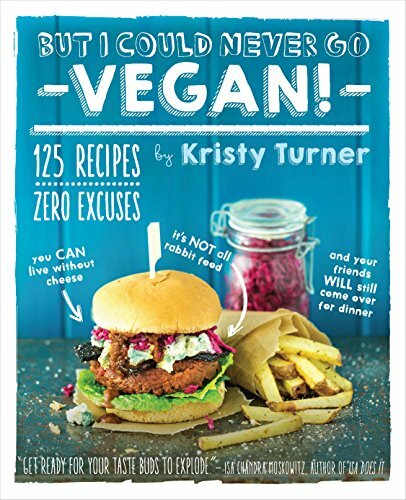 ‘But I Could Never Go Vegan!’ is every vegan’s kitchen savior, with recipes to suit every palate and craving. 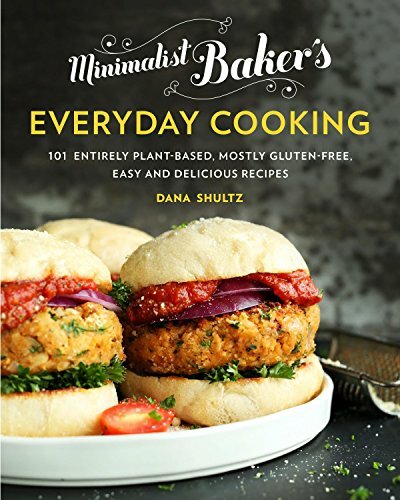 First the award-winning blog and now a smash-hit cookbook, Dana Shultz’ ‘Minimalist Baker’ has garnered huge success thanks to its simple, stress-free way of cooking. Dedicated to producing recipes with only 10 ingredients or fewer, you can be sure that Dana’s recipes won’t involve tons of chopping, prepping, or clean-up afterwards. ‘Minimalist Baker: Everyday Cooking’ focuses on easy, soothing and hearty meals, many of which are gluten-free and all of which are 100% plant-based. Enjoy comforting favorites without the ethical implications...or the mess! ‘Minimalist Baker’ offers a whole new way to cook. 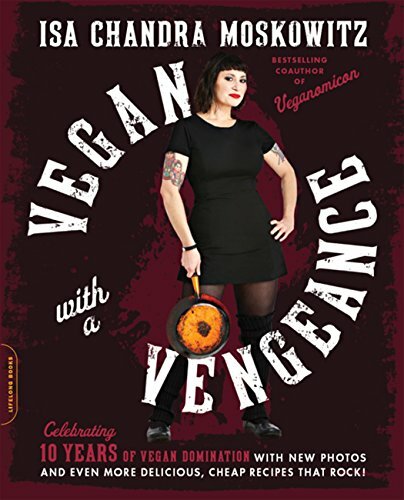 The Thug Kitchen duo are practically superheroes when it comes to the vegan cookbook market. Not only do they know how to get damn tasty grub on our plates (and fast), they’re also adored for their straight-talking, no-nonsense conviction that real food is ALWAYS best. 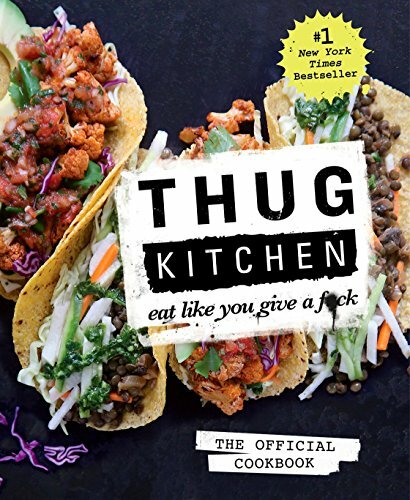 Whether you are looking to introduce your kitchen to the art of vegan cooking or a long-time vegan looking to up your food game, ‘Thug Kitchen: Eat Like You Give a F**k’ is the book for you. Founder of one of the plant-based market’s earliest food blogs, ‘Oh She Glows’ Angela Liddon may just be the queen of delicious, healthy vegan cooking. From the start of her quest for a kinder life - both to herself and to animals - right up to her current challenges of raising a vegan family, Angela has proved time and time again that wholesome, plant-based cooking does not have to be complicated, bland or boring. 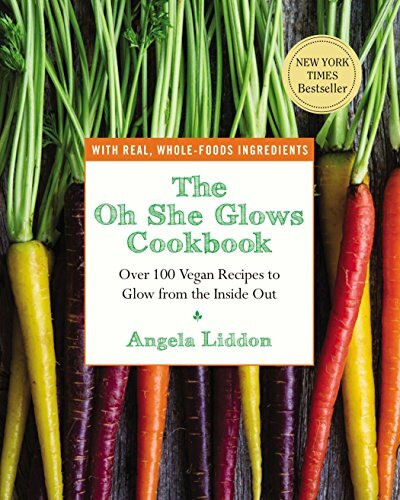 ‘The Oh She Glows Cookbook’ features over 100 recipes covering entrees, snacks, light bites, desserts and breakfasts, each one delivering a hit of hearty, soul-healing goodness. Whether you’re cooking for one or for many, Angela has plenty of delights up her sleeve that will keep their tasters coming back for more. Simple and sustainable vegan cooking takes on a new lease of life in Laura Wright’s cookbook. 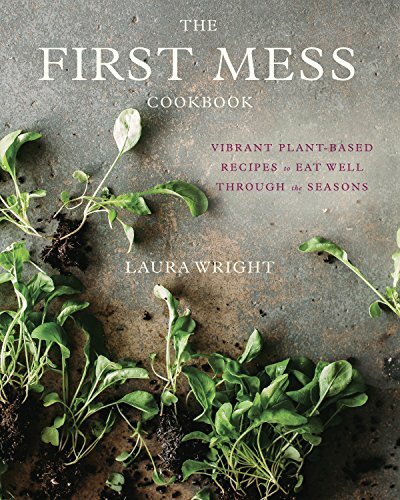 Derived from her Saveur award-winning blog, ‘The First Mess’ guides you through eating locally and sustainably through each of the seasons, ensuring there’s always something good on your plate no matter what time of year. If Wright’s unique flavor pairings and genius twists don’t get you excited (such as her Earl Grey & Vanilla Bean Tiramisu or Romanesco Confetti Salad), then the stunning imagery that accompanies each recipe will. Her recipes have been described as vibrant, warm, comforting, fuss-free, helping you connect with food and nourish your body with nature. If you want easy, cheap and delicious vegan food that can be whipped up in a mere moment (almost), then Isa Chandra’s your gal. ‘Vegan With a Vengeance’ has been praised for bringing ridiculous simplicity and gut-busting flavor to vegan food, without breaking the bank. Forget any fancy ingredients or special stores - everything in ‘Vegan With a Vengeance’ can be created with basic ingredients found in your usual supermarket. With dishes ranging from grab ‘n’ go fast food alternatives to decadent indulgences, Chandra delivers easy, fun, satisfying cooking with a side of punk-rock badass to boot. If you wish to take your health one step further, a whole food plant-based diet (WFPB) may be for you. The following cookbooks come from some of the biggest experts in the vegan health front, showing how a diet made up of whole plant-foods can take your well-being to the next level. You may think it’s hard to make healthy food taste good, but ‘Straight Up Food’ proves otherwise. 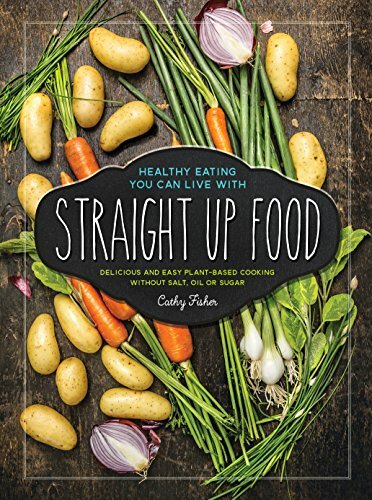 Based on the premise that salt, oil, and sugar can be compromising to health, Cathy Fisher’s book delivers over 100 delicious recipes that are completely plant-based, gluten-free and made only from whole, unprocessed plant foods. Her recipes cover many of your favorite meals that both kids and grown-ups will love, such as ‘beef’ stew, Caesar salad, coleslaw, pancakes, and blueberry muffins. Fisher explains the hows and the whys of cooking without salt, oil or sugar, including the benefits, shopping lists, tips on substituting traditional ingredients and detailed nutrient and calorie breakdowns for every recipe. If you’re looking to make greater changes to your health, then ‘Straight Up Food’ is for you. If you’re curious about whether a plant-based diet really holds the key to ultimate health, look no further than ‘The Plantpower Way’. 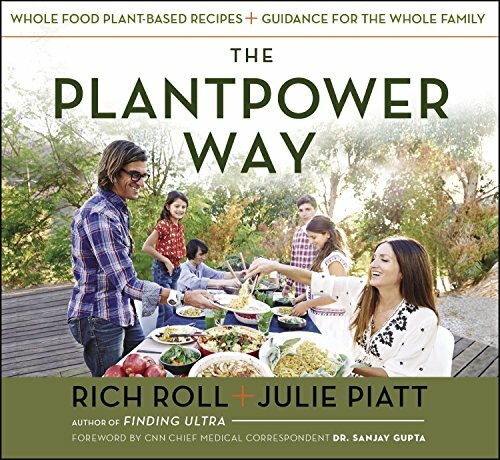 Written by world-renowned ultra-distance athlete Rich Roll and his chef wife Julie Piatt, ‘The Plantpower Way’ holds Roll’s secrets to long-lasting health and longevity, in the form of 120 delicious, family-friendly recipes. From hearty breakfasts, lunches, dinners, and snacks to life-giving smoothies and juices, you’ll never run out of ideas for what to feed your hungry family. Roll and Piatt also deliver tips and advice on thriving on a compassionate, sustainable lifestyle. From body to mind to spirit, ‘The Plantpower Way’ has everything your family needs to live their best life. 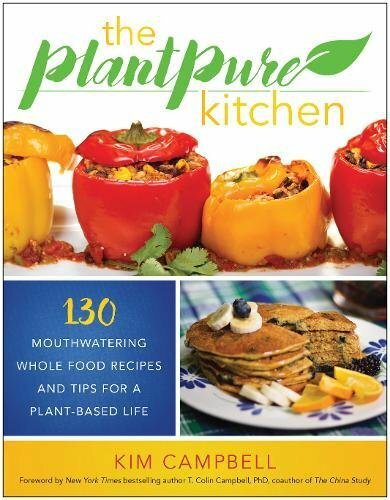 As the follow-up to ‘The PlantPure Nation’, Kim Campbell’s ‘The PlantPure Kitchen’ has impressed and delighted cooks with its comprehensive information, easy-to-follow recipes, and humble advice. Based on the idea that every kitchen can be a plant-based one, Campbell sets out to show how everybody can ‘plant-pure’ their kitchen, including what to stock and where, the basic essentials for plant-based cooking and the secret ingredients that will add a magic touch to any meal. She also gives advice on which tools are worth the money; the best natural sweeteners; how to substitute for gluten, eggs and oil and a whole bunch of other invaluable tricks that’ll supercharge your efforts in the kitchen. Whether you’re a plant-based newbie or looking to brush up on your kitchen skills, these 130 gorgeous recipes are a perfect place to start. Ever wondered how you could get your kids to go vegan, or even raise a vegan family? Dreena Burton is here to help. 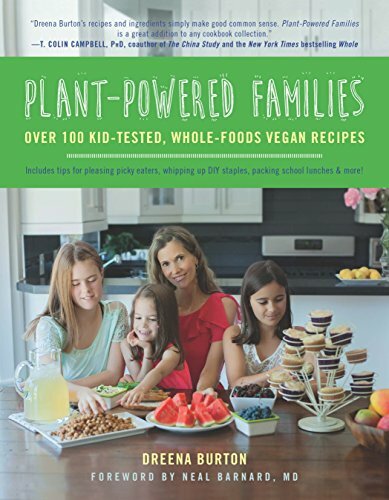 Her book ‘Plant Powered Families’ delivers over 100, delicious, kid-approved, family-friendly recipes, including many ‘veganized’ versions of your kids’ favorite comfort foods. Expect Vanilla Bean Chocolate Chip Cookies, Pumpkin Pie Smoothies, Cinnamon French Toast and Sneaky Chickpea Burgers. There are also sections on how to stock a vegan pantry; nutrition-approved references for tackling dietary concerns and tips and tricks on everything from pleasing picky eaters to packing school lunches and handling social situations. Whether you’ve already got a full brood or are planning on raising your first vegan child, ‘Plant-Powered Families’ will be your ultimate guidebook. Founder of the famous Engine 2 diet, ex-firefighter and plant advocate Rip Esselstyn shows how you too can be plant-strong. Through his 150 mouth-watering, simple, health-boosting recipes, Rip proves that eating for both your body and the planet doesn’t have to be hard or time-consuming. He also takes the reader through the 36 most powerful facts that prove plants really are the answer to many of life’s biggest health problems. Heart disease, cancer, stroke, osteoporosis, obesity...eat like Rip and worry about these no more! In many of the world’s breakthrough studies concerning health and nutrition, eating plants seems to be a common denominator. Read about some of the biggest health discoveries in history, and how you can use this knowledge to bulletproof your own health. With so many myths out there surrounding both plant-based and omnivorous diets, it can be tricky knowing whether going plant-based is right for you. 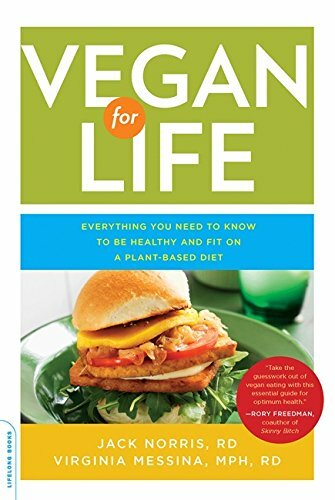 Nutritionists Jack Norris RD and Virginia Messina MPH RD will put all your concerns to rest in their book ‘Vegan for Life’. Starting with the proven benefits of a plant-based diet and then debunking the myths that surround it, you’ll soon be ready to dive into the plant-based lifestyle head first using their accessible, science-backed knowledge. From meeting your needs for protein, calcium, and iron, to breaking down the ‘real deal’ on soy and what supplements you should be taking, ‘Vegan for Life’ will have your back no matter what stage of life you’re at. From the nutrition-expert and physician behind the world-renowned Nutrition Facts website, ‘How Not to Die’ is an ultimate blueprint on how to live a healthier, longer life. 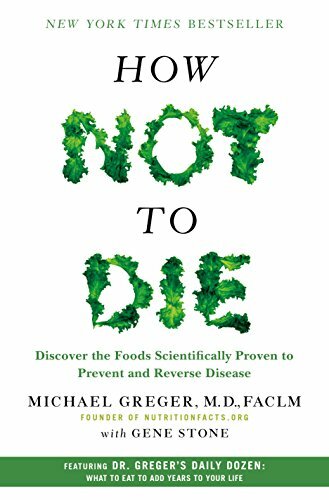 From outlining the top 15 causes of death of Americans each year to explaining how changes we make in our lifestyle can fight these diseases, M.D Michael Greger gives you everything you need to avoid losing your life to chronic illness. Even if your genes hold a history of disease, from cancers and heart disease to diabetes and high blood pressure, Greger lets you in on the foods to eat that will lower your risk and ensure you don’t have to be a victim. If you’d like to prevent your risk of disease and cut your reliance on pharmaceuticals, ‘How Not To Die’ can show you how. 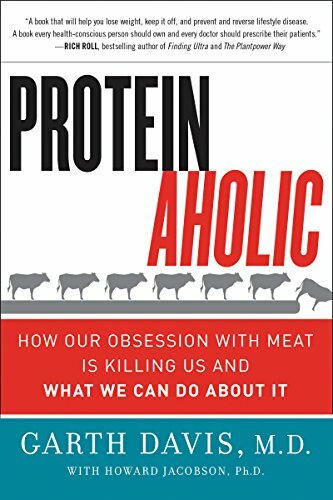 The western diet’s obsession with protein is embedded in doctors, nutritionists, and trainers advising us to eat more protein. But are we actually eating too much of it? Garth Davis MD turns the popular conception on its head to ask “Is all this protein making us healthier?” Using his own hands-on patient experiences combined with science-backed studies of longest-living populations, Davis shows how too much protein may actually be making us fat, sick and tired and how we can REALLY lose weight, gain energy and stay healthy for life. 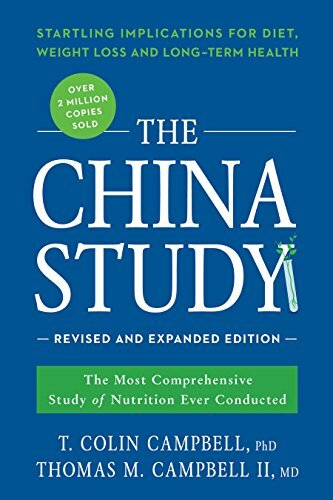 ‘The China Study’ is one of the most comprehensive studies ever done on human health and nutrition. Led and penned by researcher T. Colin Campbell, the study looked at the diets and lifestyles of several cultures around the world to determine just what are the causes of some of the West’s biggest chronic illnesses. 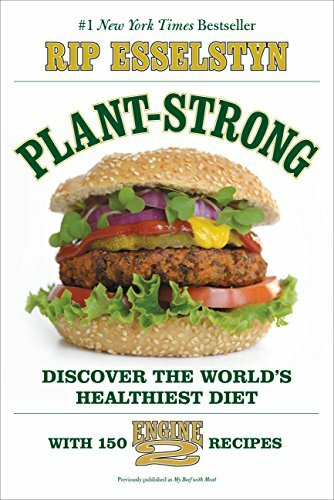 The discoveries he made with his partners in England and China startled doctors, nutritionists and researchers worldwide, and his 2005 book is now used to promote the unparalleled benefits of a whole foods, plant-based diet. For years the health industry has told us that carbohydrates - particularly starches - are the obstacle to weight loss and health. 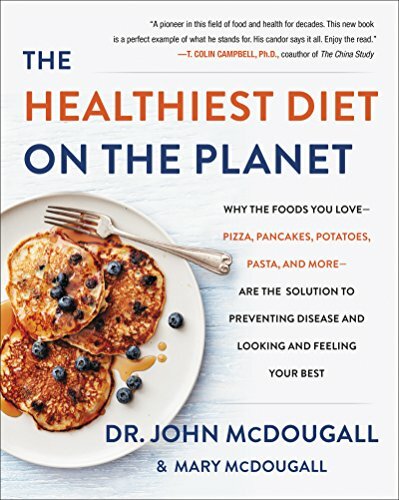 But physician and nutrition expert John McDougall explains how the way we’ve been taught to think of carbs is wrong in his book ‘The Healthiest Diet on the Planet’. Backed by great research, McDougall lays out how animal foods and high-fat diet fads fail to keep us truly satisfied, leading to overeating, weight gain, and health troubles. He then goes on to share how diets high in complex carbohydrates, such as whole grains, tubers, legumes and other starches can keep us full, lean and energized and give us vibrancy for life. Can a whole food plant-based diet really reverse heart disease? Dr Caldwell Esselstyn MD believes it can, and his 20-year research on nutrition and lifestyle on heart attack patients proves it.By advocating a fully plant-based, oil-free diet for those whom traditional medical procedures had not worked, Esselstyn saw improvements in angina symptoms, a drop in cholesterol levels and a marked improvement of blood flow to the heart. 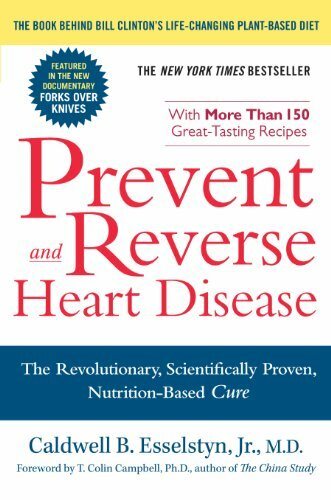 With over 150 delicious recipes created by Esselstyn and his wife, ‘Prevent and Reverse Heart Disease’ shows how you can benefit from Esselstyn’s groundbreaking study. 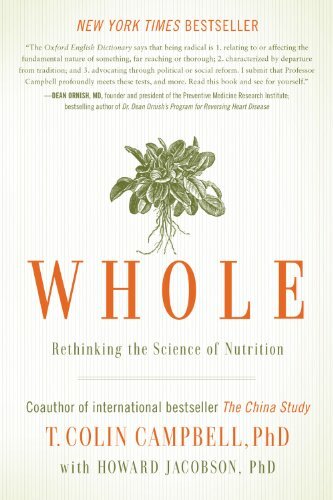 As the follow-up to his smash hit book ‘The China Study’, T. Colin Campbell now sets out to deliver further groundbreaking arguments in ‘Whole’. Whilst traditional nutrition science focuses on nutrients as individual components, ‘Whole’ attempts to explain that all chemicals are influenced by other chemicals and that only by eating foods in their most whole state can we hope to get the benefits. Turning conventional nutritional understanding on its head, Campbell once again brings home new and compelling research that focuses on something most studies forget - the complexity of the human body. Very often we are told that to lose weight, calories in must be less than calories out. However, that’s not how Joel Fuhrman looks at it. 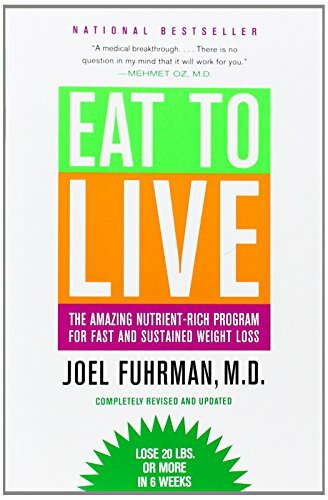 In his book ‘Eat to Live’, Fuhrman explains how it is actually the nutritional density of the foods we eat - not their caloric content - that determines weight gain or weight loss. Centered around the premise of a high nutrient-to-calorie ratio, Fuhrman puts together an intensive 6-week diet plan that focuses only on whole plant-based food, and is free of oil, sugar, and salt. This book is not for those looking for simply a ‘healthier way of living’. But it most certainly can help those who are obese and suffering from serious health concerns to really turn around their health. Ever wondered why you struggle to give up cheese? 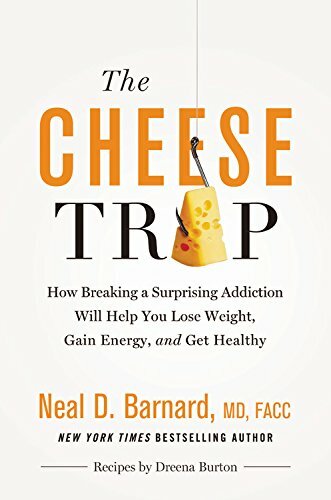 In nearly every case of meat-eater or vegetarian turning vegan, cheese is often the thing that stands in their way.In ‘Cheese Trap’, Dr. Neal Barnard MD explains just what it is that makes cheese so addictive; the harm it could be doing to our health, and how everything the dairy industry tells us is a myth. Best of all, he includes a treasury of healthy plant-based recipes that will curb your cheese cravings for good, such as pizza, lasagna, and cheesecake. Most health professionals used to believe that once a person had diabetes, they’d have it for life - leading to all kinds of health complications such as worsening eyesight to heart and kidney problems. However, Dr. Neal Barnard’s breakthrough research has shown that that is just not true. 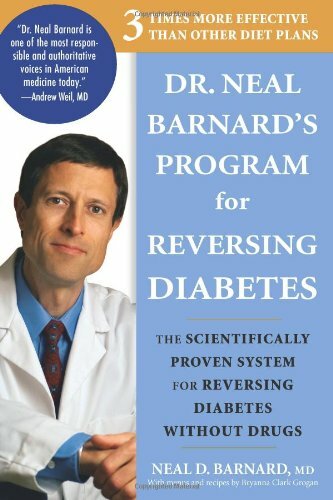 In his book ‘Reversing Diabetes’, he unveils a series of lifestyle and diet changes that have been proven to repair insulin function, control blood sugar more effectively, and even reverse type 2 diabetes. Barnard’s discoveries are a must-read for anyone diagnosed or caring for someone with diabetes. Raising vegan kids goes further than what you put on their plate. These books are fantastic ways to explain veganism to your children in a friendly, accessible way. 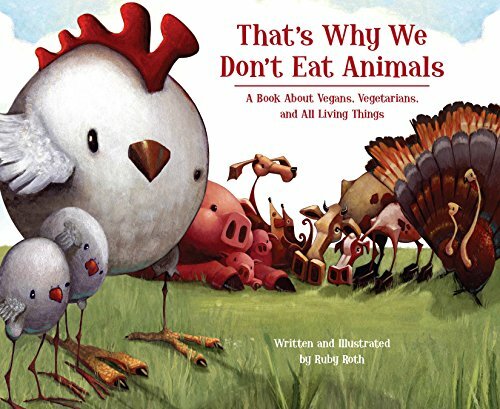 Beautifully illustrated and bravely thought out, ‘That’s Why We Don’t Eat Animals’ is a good starter book for children aged 6-10 years to learn more about veganism or vegetarianism. In depicting animals both in their wild, free and happy state and contrasting this with animals in factory conditions, Ruby Roth does a fantastic and courageous job of highlighting these growingly important issues in a way children can absorb and appreciate. 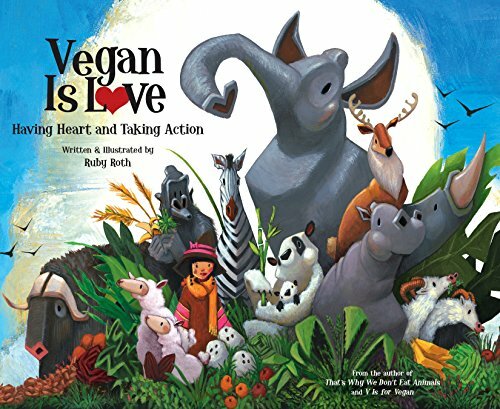 Going one step further than ‘That’s Why We Don’t Eat Animals’, ‘Vegan Is Love’ is designed to show children how our actions and decisions affect the world around us, both locally and globally. Again with her heartwarming yet sage illustrations, Roth explains how things like avoiding sea life centers, circuses, leather, and products tested on animals while instead of buying local and organic food can all make a huge difference in creating a fairer, more compassionate world. 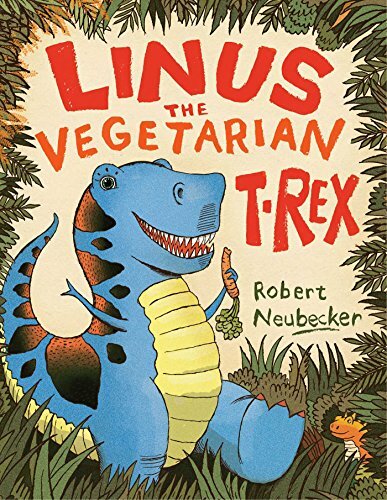 ‘Linus the Vegetarian T.Rex’ tells the story of Linus, the herbivorous T. Rex that prefers to pick vegetables instead of prey on his leaf-eating neighbors. Dinosaur lover Ruth Ann MacKenzie is confused - she knows everything about dinosaurs, so why is Linus so different? This adorable book cleverly brings home the truth about hunting fellow beings for food, and, with colorful illustrations that keep children engaged, is perfect for an eco-conscious story time. Is it possible to be fit and athletic on a plant-based diet? You bet it is! These books show how eating plants not only sustains but can elevate your efforts in the gym. Read, learn, and get ready to up your fitness game. 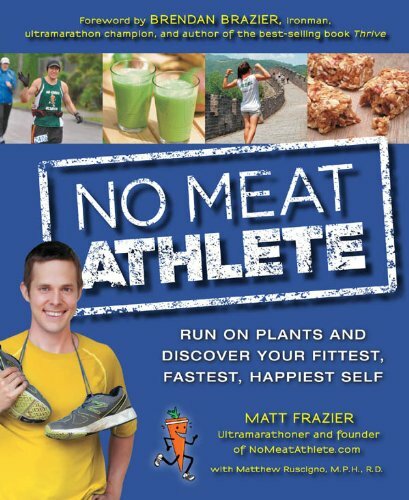 Whether you’re a runner looking to transition to a plant-based diet, or a long-time vegan looking to get into running, athlete Matt Frazier is your man. Starting out with the benefits of running on a plant-based diet (more energy, faster recovery, weight loss), he goes on to provide tips on how to make new habits stick and get all the nutrients you need. Frazier also provides meal plans and training plans for runners of all abilities, as well as guidance on improving performance and avoiding injuries. 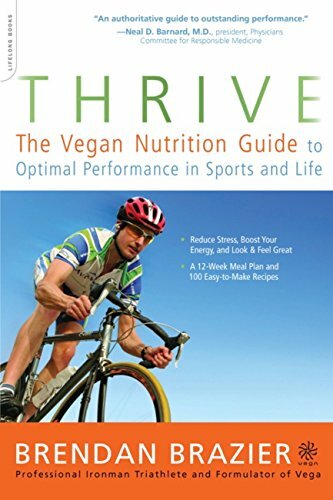 Brendan Brazier’s ‘Thrive’ has rapidly become a go-to guidebook for both professional and non-professional athletes alike. Starting with an explanation of why whole foods are nutritionally superior to processed foods for athletic performance, Brazier introduces his comprehensive 12-week plan that will help any athlete enhance their performance and recovery time, and create healthier habits. Expect over 100 allergen-free recipes all geared for the ambitious athlete, including raw foods, homemade energy gels and sports drinks and of course those hearty recovery foods. Following his bestselling book ‘Vegan Bodybuilding & Fitness’, Robert Cheeke’s ‘Shred It!’ takes a fresh new modern approach to the world of plant-based bodybuilding. 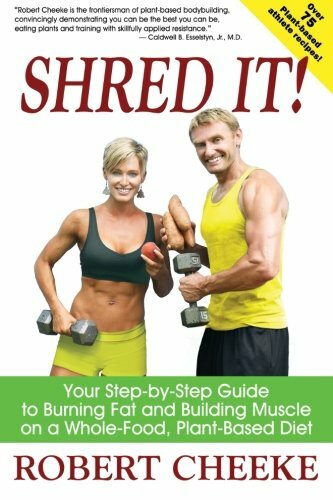 Combining disease-fighting whole plant foods with step-by-step training programs for every ability, ‘Shred It!’ is the ideal book for anybody looking to improve their athletic performance, their physique, or even for current weight trainers looking to transition to a plant-based diet. This book not only gives you the structure and guidance that’ll help you reach your fitness goals; it also equips beginners with the proper exercise tuition and nutrition know-how that’ll improve their health for life. 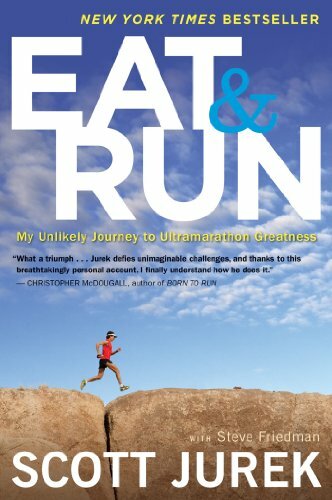 Penned by ex American 24-hour distance running record holder and one of the most dominant names in ultrarunning, Scott Jurek’s ‘Eat & Run’ is a testament to his time as a plant-based athlete. From growing up in a conventional ‘meat-and-potatoes’ family to transitioning to a plant-based diet, Jurek shares his tips and experiences of becoming a champion athlete. In ‘Eat & Run’, you’ll find not only Jurek’s secrets that led him on to worldwide success; you’ll also learn about how his plant-strong lifestyle can help you reach your own athletic goals. ‘Finding Ultra’ is the incredible story of how ultra marathoner Rich Roll turned from overweight midlifer to an endurance machine in a matter of mere months. Starting with a wake-up call on the eve of his 40th birthday, Rich vowed he would overhaul his diet to a fully unprocessed, plant-based one, as well as implement daily training to become his best self. 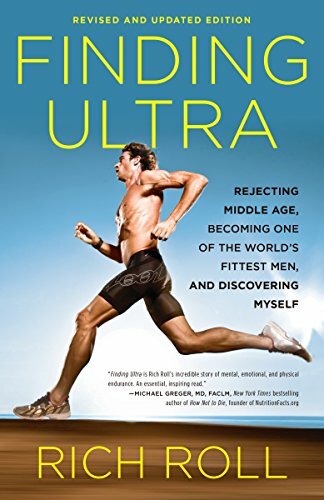 What followed two years later was a series of staggering athletic accomplishments, from the elite Ultraman competition to the Epic5, showing that willpower and determination are really are all it takes.‘Finding Ultra’ is a story about hard work and overcoming all odds, sure... but it also features plenty of hardy instruction and advice throughout. Which of these vegan books have you read and have inspired you? Are any of these on your wishlist? Let us know in the comments below. Why isn’t “Comfortably Unaware” or “Food Choices” on your list? These two books were the basis for Cowspiracy and Dr. O speaks all over the world with his captivating and life changing lectures…many of the books on your list actually reference HIS books…so just wondering why they wouldn’t be on your list? Totally agree with Lauren Tureta above – I went to write a comment and she had already EXACTLY what I had planned to say! I recently bought and am enjoying “The Homemade Vegan Pantry” by Miyoko Schinner, “Vegan Richa’s Indian Kitchen” – only started this journey in late June 2017 and I am LOVING every minute! Let me know if you need any support on your plant-based journey! You can always join our free course or our FB group. Huge humble thanks to Nutriciously for such enthusiastic support of The Plant-Based Journey and The Mindful Vegan. I know what a tough field it is to pick from – there is such quality in the listings for vegan and plant-based books! I notice that several of my favorites are on your list as well. And it does beg the mention of so many other titles. When one undertakes the project of a “Top 40” list, it can be almost excruciating to have to decide what to be sure to include. Lauren mentions Richard Oppenlander’s books and these are definitely must reads. And Miyoko’s Homemade Vegan Pantry, as Liz mentions, is one of the most used books in my kitchen! I’m particularly fond of the melty cashew cheese that has no oil in it, and have devised my own varieties of herb flavors and smokey flavors of same. I have a batch brewing in the kitchen as we speak. Thank you again Alena, nice work and all best of luck on the ‘next 40’ article! always a pleasure to hear from you! Your message is beautiful and resonates very much with us :) So, of course your work had to be included here. We apparently have to overhaul the article soon and include some of the books people, including you, have mentioned here. Best of luck with everything you do! Thanks for making the world a brighter place. This is a fantastic list! 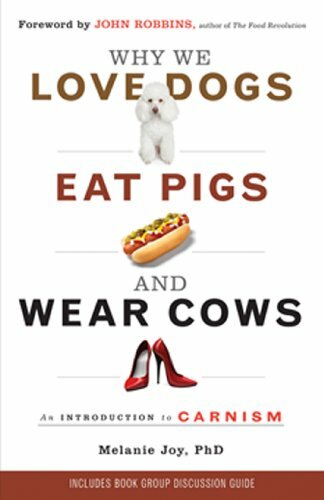 Many of these books were a tremendous help to me when I made the transition to a vegan lifestyle, such as “Vegan for Her” by Ginny Messina and JL Fields, and “Why We Love Dogs, Eat Pigs and Wear Cows” by Melanie Joy. I’m also thrilled to see books by some dear friends of mine, including Lani Muelrath and Caitlin Galer-Unti (Hi ladies!). If you enjoyed Caitlin’s “Essential Vegan Travel Guide”, I think you would also like my new book, “Veggie Planet: Uncover the Vegan Treasures Hiding in Your Favorite World Cuisines”. In Veggie Planet, I highlight many of the naturally vegan dishes in 11 of the world’s most popular cuisines and show just how vegan-friendly these cuisines really are. It’s the perfect companion when you’re looking for a delicious vegan meal while traveling, or even just when eating out in your own home town. I’m not sure how that “why” got tacked on to the end of your name in my comment, Alena. Must have been the Internet goblins! we love Neal Barnard! No idea he wrote the foreword to your book, how amazing… will go take a look asap. This was a temporary error caused by a plugin – should now look great and colorful again! Thanks for sharing such an amazing Vegan books. happy you like the article! Hello. Like the list! Some I have, others on wish list. Over 50. After over 20 years as a vegetarian, living through a mysterious health crisis and back to vegetarianism I have been transitioning to veganism. I never felt better! That is my two cents. Thank you very much for this wonderful site! !